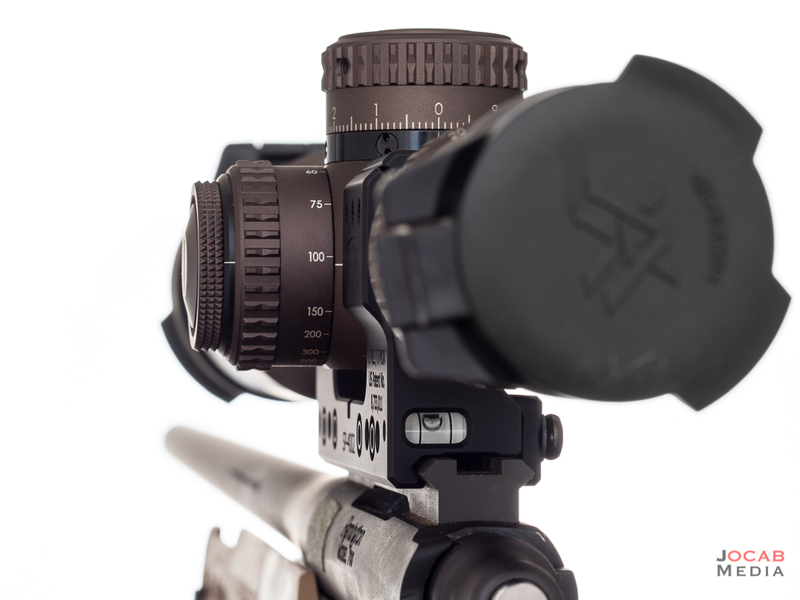 The Spuhr Ideal Scope Mount System, also known as the Spuhr ISMS, has become a coveted rifle scope mount in the long range rifle discipline. My precision bolt rifle project in 2016 ended up utilizing a Badger Ordnance 20MOA scope base with Seekins Precision high (1″ scope height) rings for the Vortex Optics Razor HD Gen II 4.5-27×56 EBR-2C MRAD. 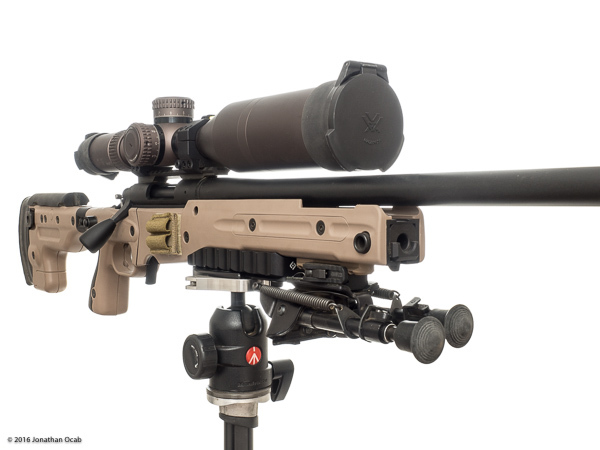 This combination ran the objective bell very close to the factory barrel of the Remington 700P, with a scope height over bore (center to center) of 2 inches. But over the course of several months running the above configuration, I found myself with too much cheek pressure on the comb of the chassis even with the spacer removed and the comb bottomed out on my Accuracy International Chassis System. I felt that this was affecting the rifle during recoil and follow through. Thus, I felt I needed to swap out for taller rings. Given the desire to run taller rings, I felt this was the opportunity to try the highly regarded Spuhr ISMS. I was debating how much taller to go on the scope height, and settled on 1.5 inches. 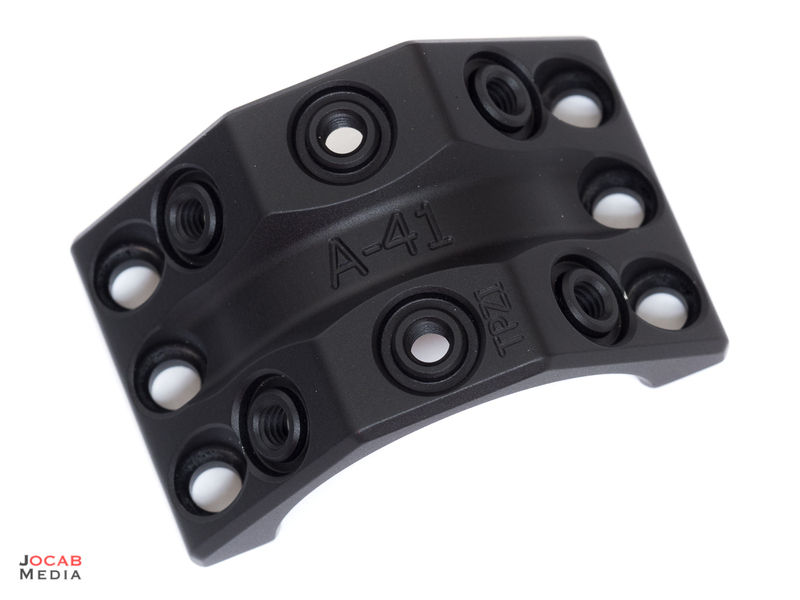 1.5″ is the common scope ring height for AR-15 platforms, where the comb of the stock is essentially on the same plane (height) as the picatinny rail of the upper receiver. Even if 1.5″ would be too tall for my ATAICS, I had the ability to increase the comb height due to the adjustable comb. I ended up acquiring the Spuhr ISMS SP-4002 (from Brownells, Inc.) which has 34mm rings and 0MOA/0MIL cant, at 37mm / 1.5″ tall, and 121mm / 4.76″ long. 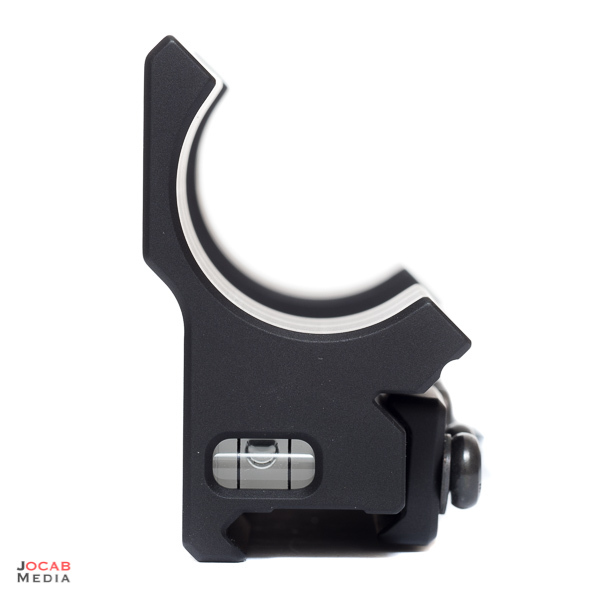 The single piece mount has a unique 45 degree cut for the rings. The inner surfaces of the rings have machined ridges. Each of the rings is secured by six screws in total. The ring tops also have threads that allow accessories to be secured to the tops of the rings, including a micro red dot sight. 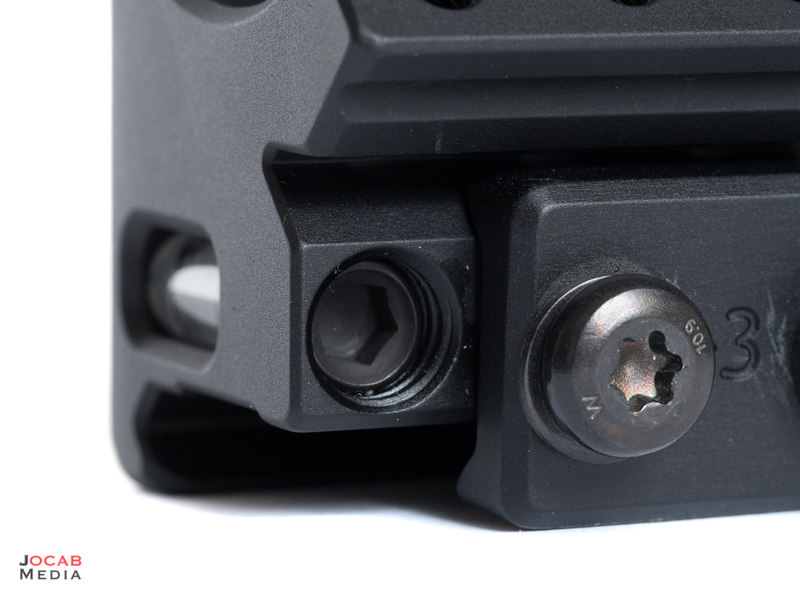 The built-in bubble level can be removed/replaced if it is damaged via a hex screw. 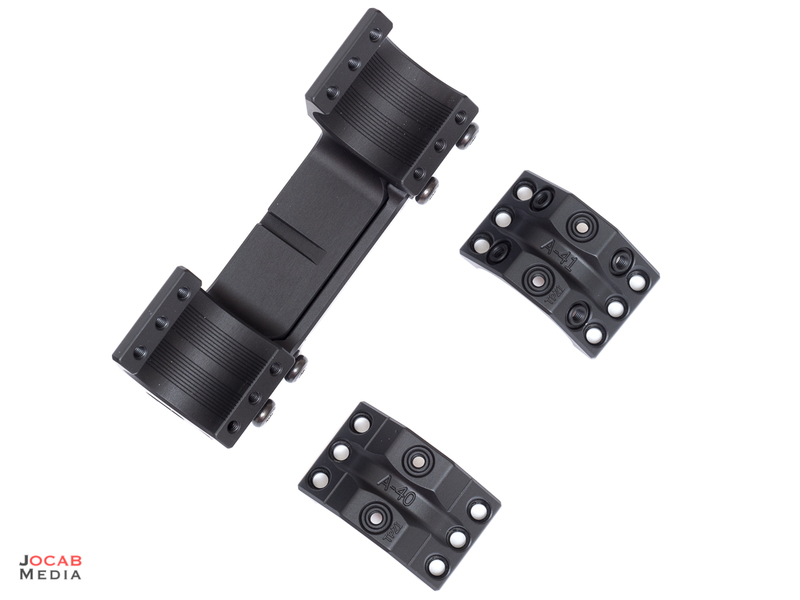 Securing the Spuhr ISMS to the picatinny mount is self explanatory, and the numbers next to each of the four clamp screws indicate the order of tightening. 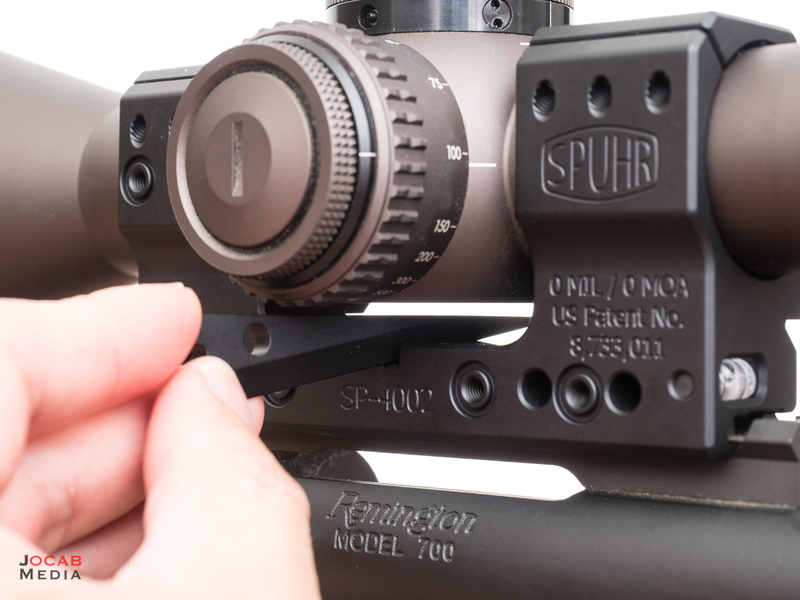 I clamped the Spuhr to the picatinny rail using 45 in-lbs and the scope ring cap screws were tightened to 20 in-lbs. One of the features of the Spuhr ISMS is the inclusion of a scope leveling wedge. 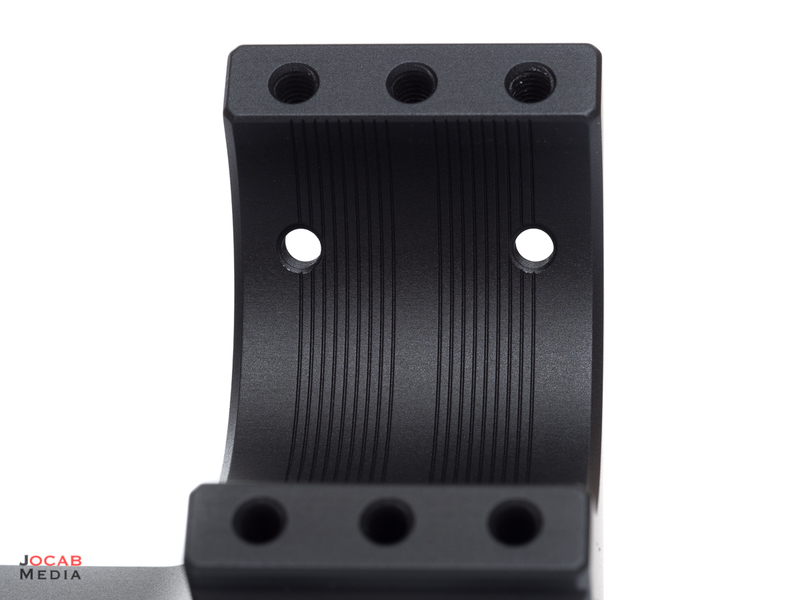 This wedge is meant to slide into the cut of the ISMS and run along the flat bottom surface of the scope turret housing in order to level the scope with relation to the Spuhr mount. This is a nice tool, but the fault here is that the wedge actually makes contact with the parallax turret of the Razor HD Gen II and cannot be used. I could have made a relief cut in the wedge too to get clearance for the turret, or I could have found a correctly squared off block to place between the wedge and the flat of the scope. But I ended up just winging it and using my standard level on top of the turret and plumb bob in front of the scope to level the reticle with gravity. Using the Spuhr SP-4002 on the Badger Ordnance 20MOA base with the Vortex Optics Razor HD Gen II places the scope height 2.5″ above center bore line, which is half an inch higher than with the Seekins Precision 1″ tall rings. 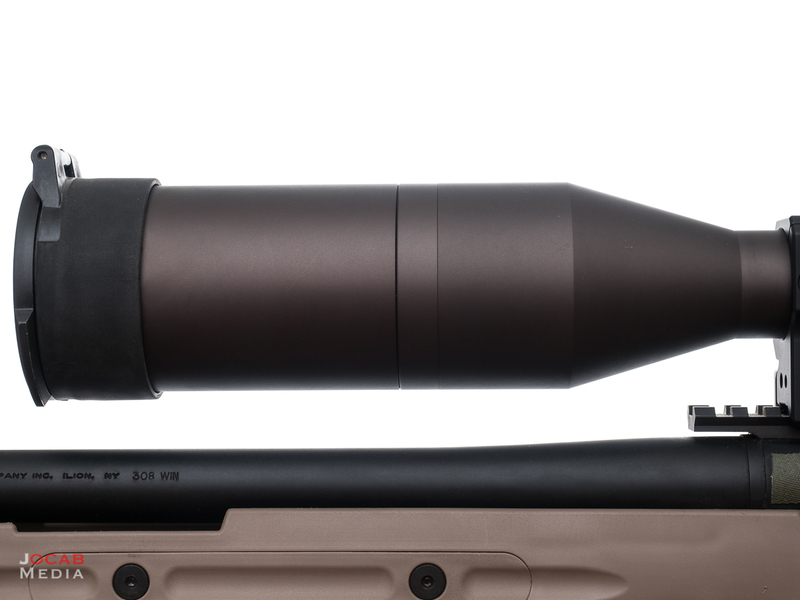 The scope objective bell is noticeably higher than the top of the barrel. 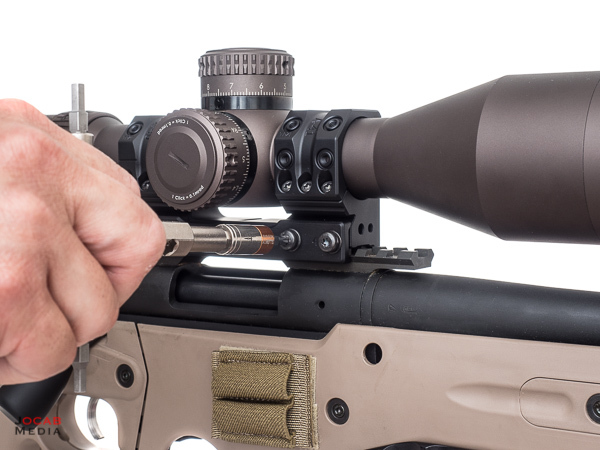 While people have long preached getting the scope as close to the barrel as possible to maximize elevation, the gap between the objective bell of the scope and the rifle barrel should come second in priority to getting the adequate height for good cheek weld. With the increased usage of chassis systems, taller scope mounts are becoming the norm due to the way the combs of these chassis systems cannot be bottomed out to be as low as traditional stocks, with relation to the receiver scope base height. That being said, after I went with the Spuhr SP-4002 and the 1.5″ scope height it brings, I had to reinstall the spacer I removed from the comb of the ATAICS when i ran the Seekins 1″ tall rings. But even with the spacer, I have just enough height on the comb for consistent and comfortable cheek weld, without excessive pressure of the face on the comb to get the proper sight picture. 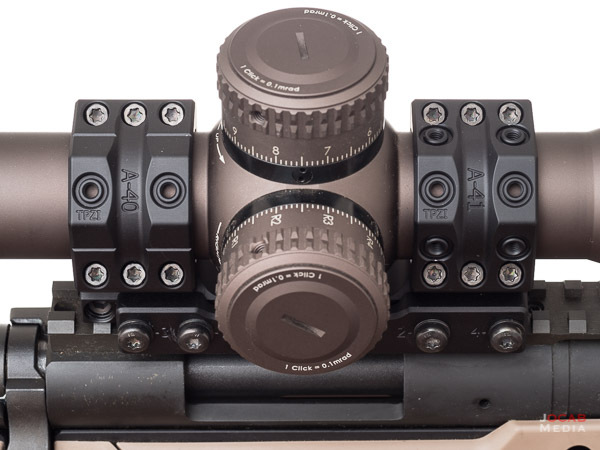 The Spuhr Ideal Scope Mount System is a very stout rifle scope mount setup, and the popularity of the Spuhr in the precision rifle community has led the way for more one-piece mount systems to make their way to the market (e.g. 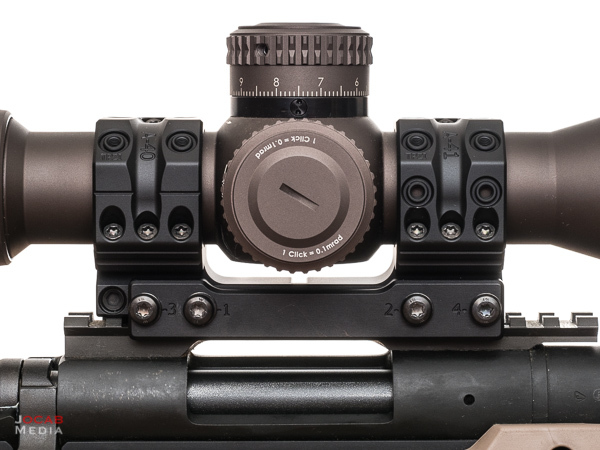 Geissele Super Precision scope mount). Unfortunately, the Spuhr ISMS comes at a significantly higher price that traditional scope ring pairs. 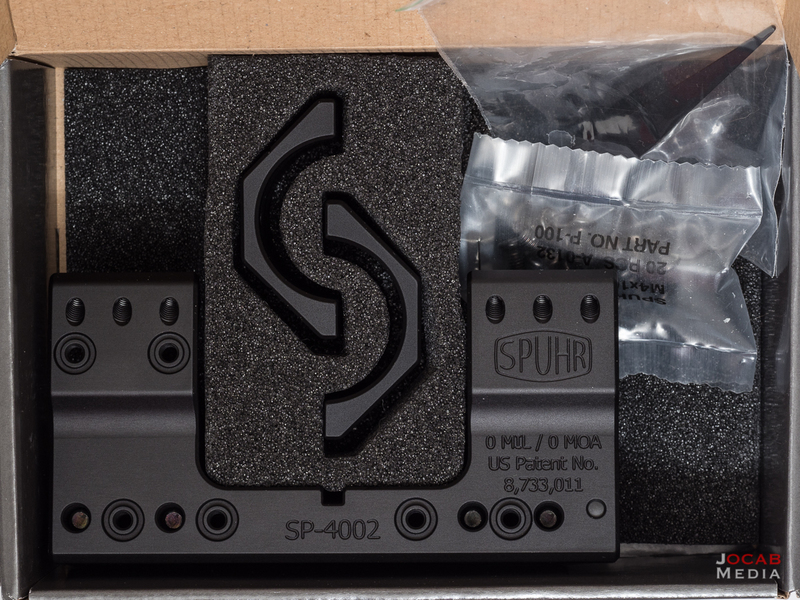 Most Spuhr ISMS units have a cost of $410 USD. 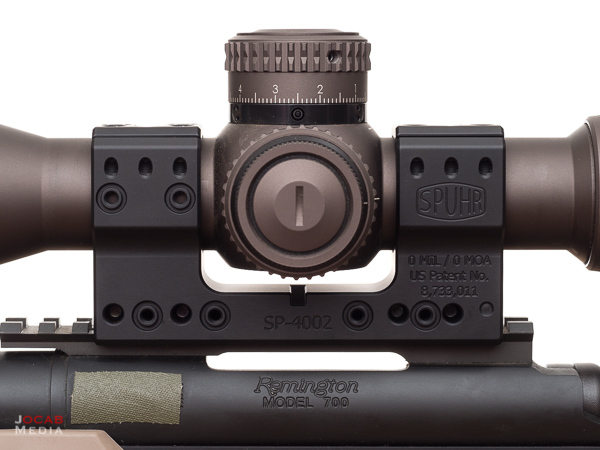 In all honesty, while I like the Spuhr, I think standard quality scope ring sets like a Badger Ordnance or Seekins Precision will be just as good. But one-piece mounts such as the Spuhr ISMS do allow quick and easy transfer of scopes from one rifle to another, and even easy remounting fore or aft on the same rifle as needed. 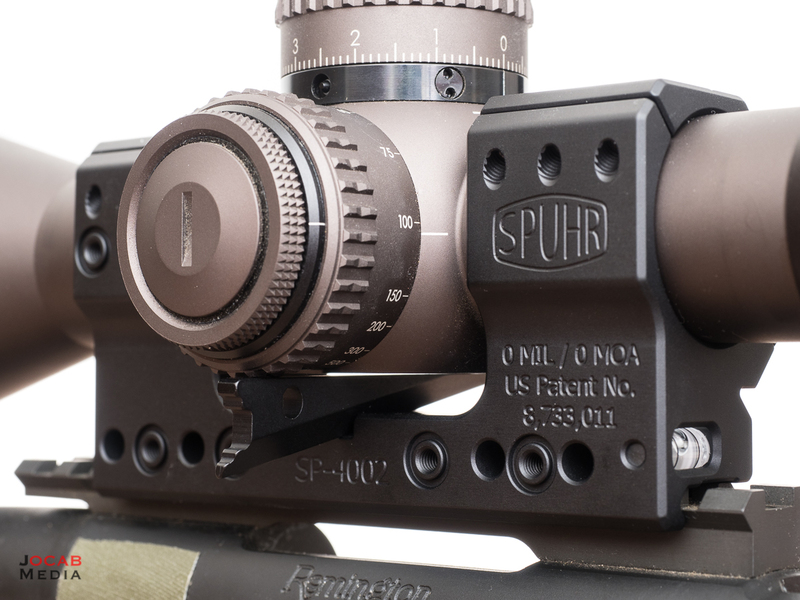 Whether or not you can justify the cost of the Spuhr is going to be relative to your own individual situation. 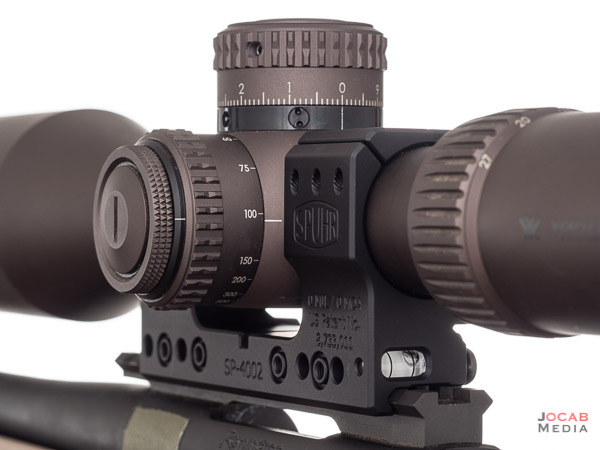 But the Spuhr Ideal Scope Mount System is definitely a quality piece of kit that will serve you well should you decide to get one for your own setup. Your leveling tools go upside down. Very nice writeup and superb photos. Thank you!